Situated in Kingston South East, 33 km from Cape Jaffa Anchorage Marina, Crown Inn Hotel provides accommodation with a garden. Boasting an ATM, this property also provides guests with a restaurant. 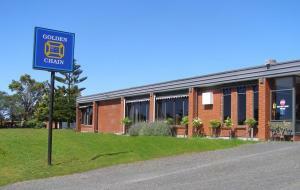 The accommodation offers meeting and banquet facilities and free WiFi. The units in the hotel are equipped with a flat-screen TV. Cycling and fishing are among the activities that guests of Crown Inn Hotel can find nearby. When would you like to stay at Crown Inn Hotel ? Each day we'll check prices and send you an email for your selected dates at Crown Inn Hotel. If you don't have specific dates but would like to check prices for say next weekend or say next month we can check the price too. Click to write a review and share your experience of Crown Inn Hotel with other travellers.